Award winning rapper, Sarkodie, has been adjudged the most influential entertainment personality for the year 2015. This was mentioned in the first 100 Ghana’s most influential (GMI) personalities list released by e.TV Ghana recently. The list, which is made up of politicians, clergy, footballers, business people, entertainment personalities and journalists among others was released live on e.TV Ghana’s State of the Nation program. 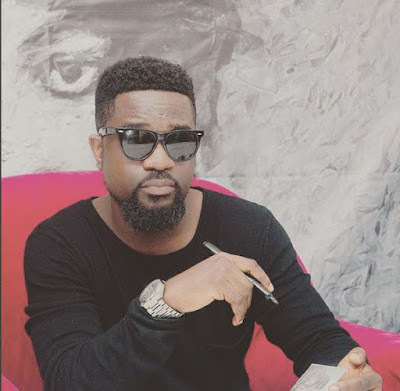 According to the annual research conducted by e.TV Ghana, Sarkodie –known in real life as Michael Owusu Addo, is the 25th Most Influential Personality in Ghana. The ‘Take it Back’ singer beat the likes of Shatta Wale, Stonebowy, Yvonne Nelson, Abraham Attah, Samini and Abrantie Amakye Dede among others who fall in that category to emerge the most influential entertainment personality. The Ghana’s Most Influential Awards is aimed at recognizing and celebrating the top 100 Most Influential Ghanaian personalities who have contributed immensely to the growth of our society in various ways -as voted by the general public-. After public nominations were opened in November last year, the list was compiled and the review process started. Public nominations were scored 40 percent and the GMI Committee consisting of editors, producers, and representatives of audit firm PKF Accountant & Business Advisors scored the remaining 60 percent. Nominees were rated on 5 key metrics and the results were collated and analyzed with the assistance of audit firm, PKF. They partnered with e.TV Ghana to authenticate the voting and weighting process. The various personalities will be awarded at the June 30 ceremony at the LA palm Royal Beach Hotel in Accra.